Every member of our team along with our carefully selected contractors are professional, qualified and experienced. Our reputation is excellent and we intend to keep it that way. We present a full itemised quotation stating all work discussed. Everything shown will be included in your cost and will be agreed before commencement of work. We don't believe in asking for large deposits. We simply divide the total cost by the scheduled number of weeks and take this amount as a deposit, followed by equal weekly instalments. Final payment on completion. This way you can see your project progress as you pay. We make every effort to finish on time. Before commencement we will present you with a ‘schedule of works’ as a guide to how the project will progress. If we find we are falling behind schedule we will put extra hours in to catch up. Every member of our professional, qualified and experienced team will be personally introduced to the members of your home. We have a one to one to keep you up to date with how the project is progressing and the plans for the following week. However we will be available to talk at your convenience if you have any queries. Are the building cost likely to escalate? Will I have to pay a large deposit? Will I be kept in the loop with work progress? 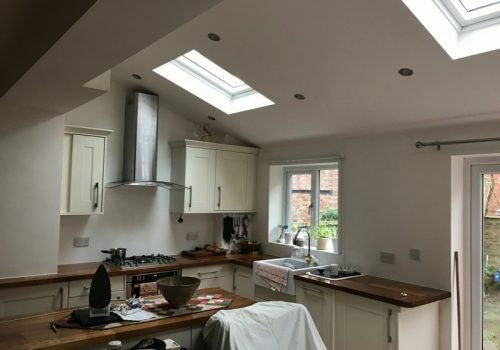 LJP Builders and house extensions are specialist house extension, loft conversions, garage conversion and conservatory builders based in Liverpool and surrounding areas. 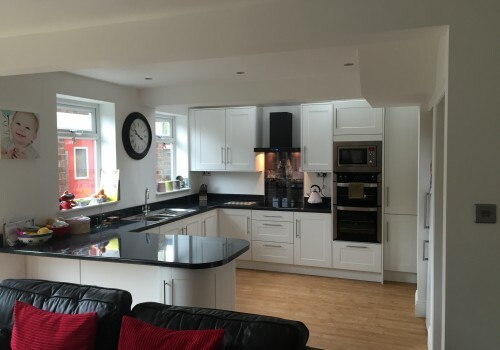 We have over 20 years experience creating a wide array of projects across Merseyside and have gained an excellent reputation for excellent craftsmanship and completing tasks in a timely manner. With LJP Builders you will get high quality work at affordable prices and done exactly to your specifications. Call us today to arrange a free consultation for your house extension, you won’t be disappointed. Whether you have plans drawn up and are ready to start, or if you are still undecided on what you want. We can help! If like a lot of our customers you are in the early stages of planning your extension and not entirely sure what you want or what you can potentially do. Adding another story to your property is an excellent way to gain a substantial amount of space. In most cases a Dormer loft conversion could result in becoming the largest room in your home whilst still achieving plenty of accessible storage space. So much so that in most cases it is divided up into an number of rooms i.e. bedroom, en suite, walk in wardrobe. All accessible in most cases by a full size staircase. 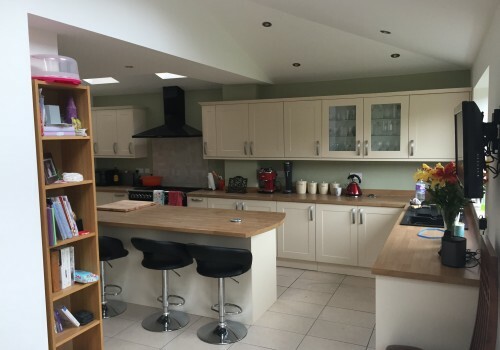 Although we specialise in home extensions, a lot of trade/professionals are involved throughout the process. This gives us a range of services to offer. Every member of our team is professional, qualified and experienced. We take great pride in our work and have an excellent reputation. If you require any of the above services, please feel free to give us a call. LJP made me a conservatory and the finished product is amazing. Not only that, the lads were very nice and didn't impose when they were working in the house. Definitely use them again. Thank you! LJP built a house extension for us in Liverpool and the quality was terrific. They gave us a free quote and that was the final price, no hidden charges. I would thoroughly recommend using LJP for your home extension! From the outset, LJP could not have been more helpful. They gave me advice on planning, design and better still supplied me with a very competitive quote to carry out the work. I would recommend LJP Builders to anyone, in fact they have already commenced work on two other jobs that I recommended them for.